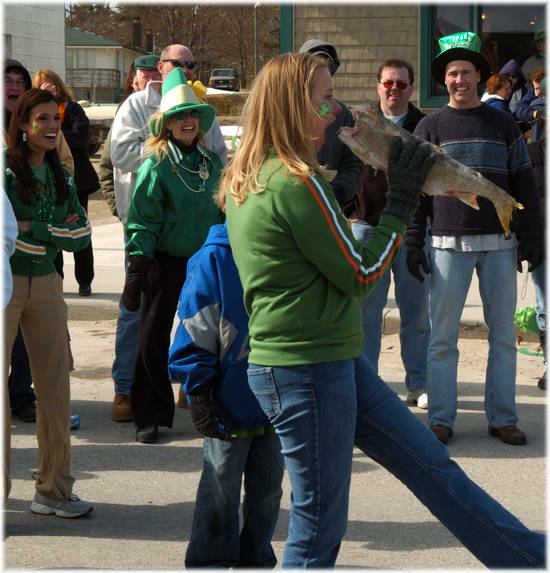 Where better to celebrate St. Patrick’s day than in front of the Shamrock on America’s Emerald Isle? 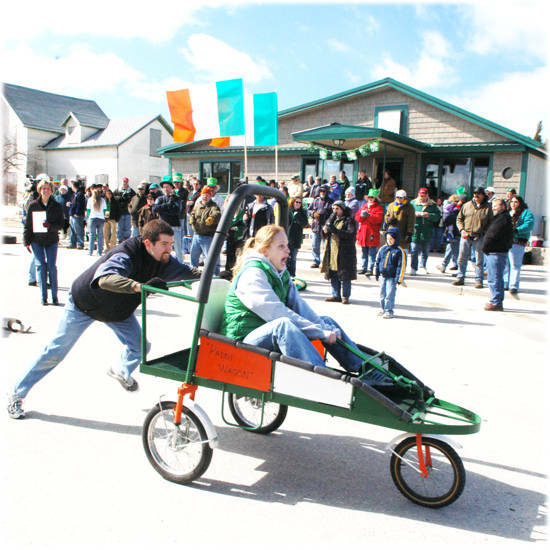 Come experience the classic cart race on Main Street, the fish toss, and the tug-o-war between the fish chokers and the hay seeders. And we can’t tell you about the indoor games – you’ll have to come up and see for yourself! Join us for the 3rd annual Beaver Island Alumni Basketball Tournament & Crockpot Cook-Off at 5pm Friday March 17, 2017 @ the Beaver Island Community School. Exciting games, great food, prizes, entertainment and lots of community sprit. Register for a team by calling Carol @ 231-838-2883 by February 25th (team shirts provided with sign up). All teams are shuffled to create fair and challenging games. So come out and root on the teams! You can also sign up for the Chili/Soup/Anything you can put in a Crockpot Cook-Off by calling Deb @ 231-675-7155. Event is sponsored by the Beaver Island Sports Boosters and all proceeds support our student athletics program. Free will donation for event.